"When Jesus landed and saw a large crowd, He had compassion on them and healed their sick." Jesus understood pain and tragedy. His own cousin, John the Baptist was beheaded by the King. Grieving His loss, Jesus withdrew on a boat from the clamor of the crowds to be alone. Upon landing, there was another huge horde of humanity waiting for Him. His response? Radical compassion. He stepped out of the boat and began healing those that were sick and dying. And as the day grew late, instead of sending them away, Jesus multiplied a few loaves and fishes and fed them all. As Jesus people, we feel the same bidding of God to love people through their pain and tragedy in very practical ways. With your generosity, we’ve been able to bring relief to desperate lives in the midst of horrific catastrophes in our nation. 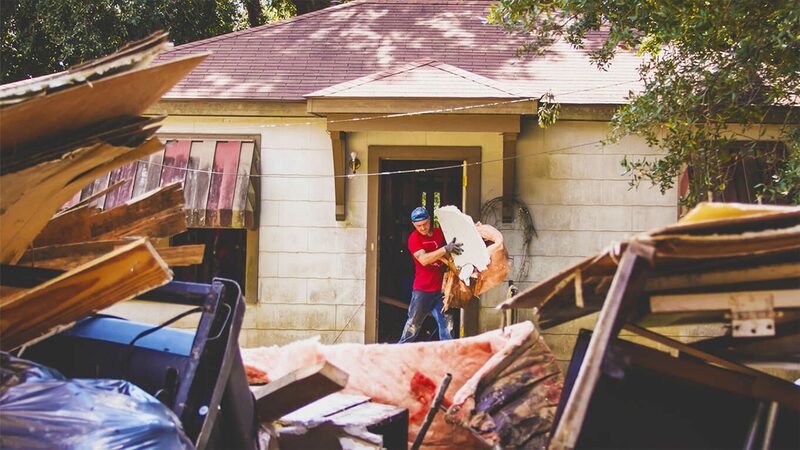 We partnered with Grace Church to assist the people of Houston during and after Hurricane Harvey. We teamed up with Pastor Jud Wilhite and Central Church to provide relief after the Las Vegas massacre. We worked with Pastor Ethan Vanse and Adventure Church in responding to the Northern California fires. National disasters demand swift and vigorous help. As we approach 2019, we want to be ready to engage with our hands, our feet, and our financial resources. So $50,000 of our 2019 Compassion Offering will be set aside for national disaster relief so we can be ready to step out of the boat.